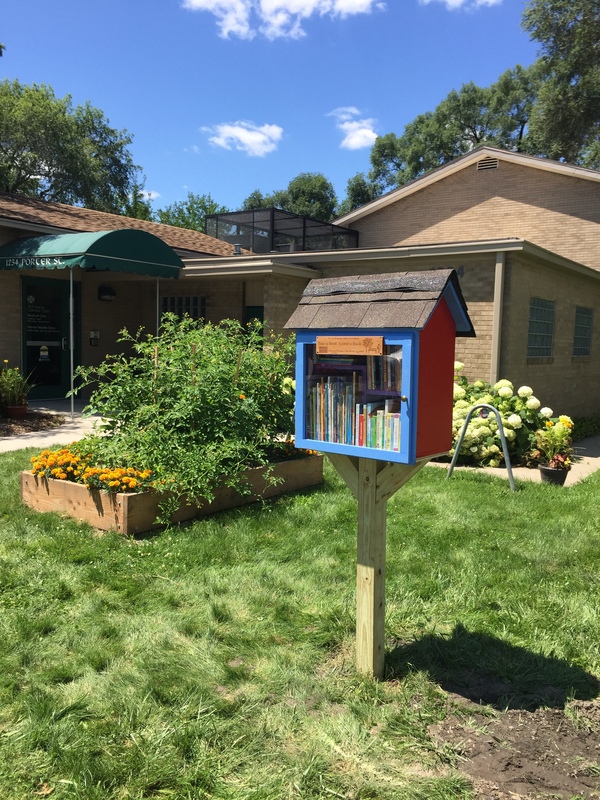 We are thrilled to announce the launch of our second RX for Reading Little Free Library, outside of St. Frances Cabrini Clinic, the oldest free clinic in the country. Located at 1234 Porter Street in historic Corktown, Cabrini provides primary care, prescription assistance, and mental health care to uninsured patients, as well as offering community education classes like healthy cooking and yoga. The library’s location is perfect, surrounded by community garden beds, next door to the Murphy Playlot, and around the block from Most Holy Trinity School. Clinical Nurse Manager (and Little Library Steward!) Alisa Smith and the library builders, Erik Krieger and Maya Faison. Thank you to the Executive Director of Cabrini, Kelly Herron, MAPS, and Alisa Smith, DPN, Clinical Nurse Manager and University of Detroit Mercy alumna. Alisa will serve as official library steward. RX for Reading filled it to the brim with 100 books and delivered another 350 to help keep it replenished with great books for kids. 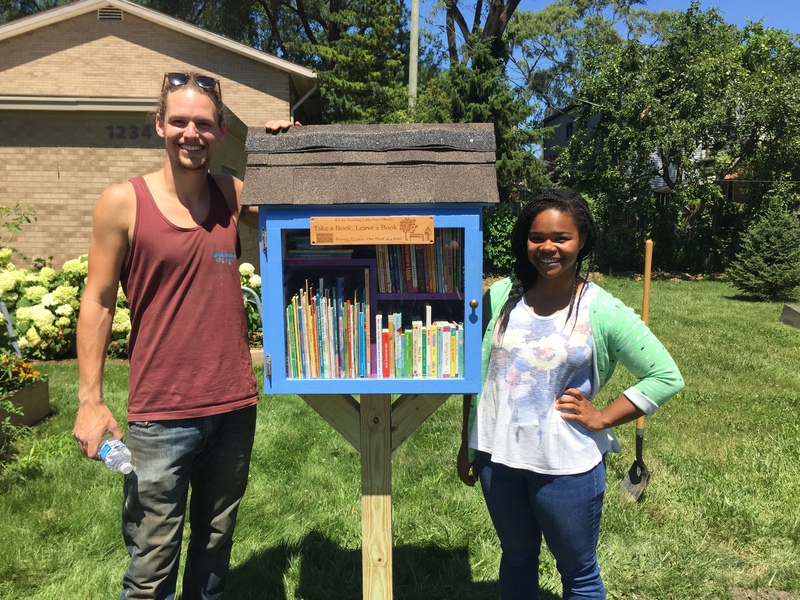 Extra special incredible thanks to Americorps VISTA volunteers Erik Krieger and Maya Faison, who built and “planted” the library for RX for Reading Detroit. 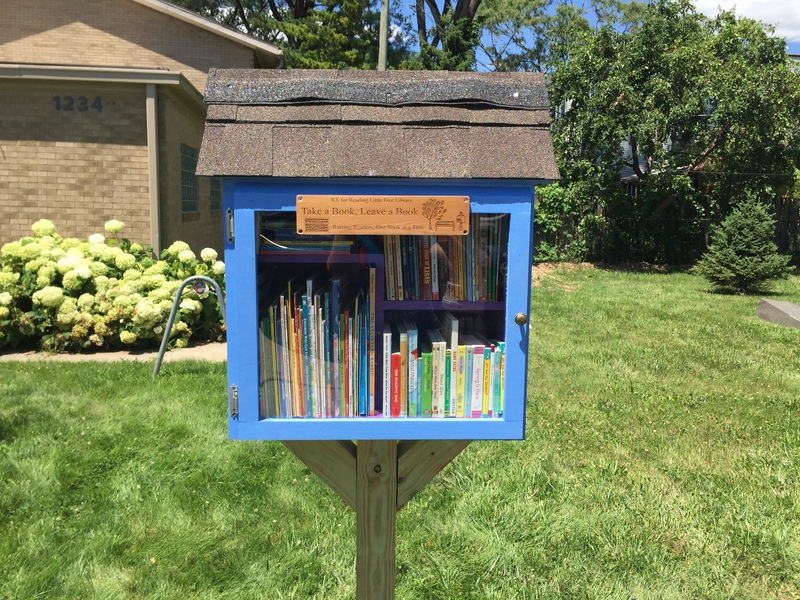 They have created something new and lasting for this Detroit neighborhood! 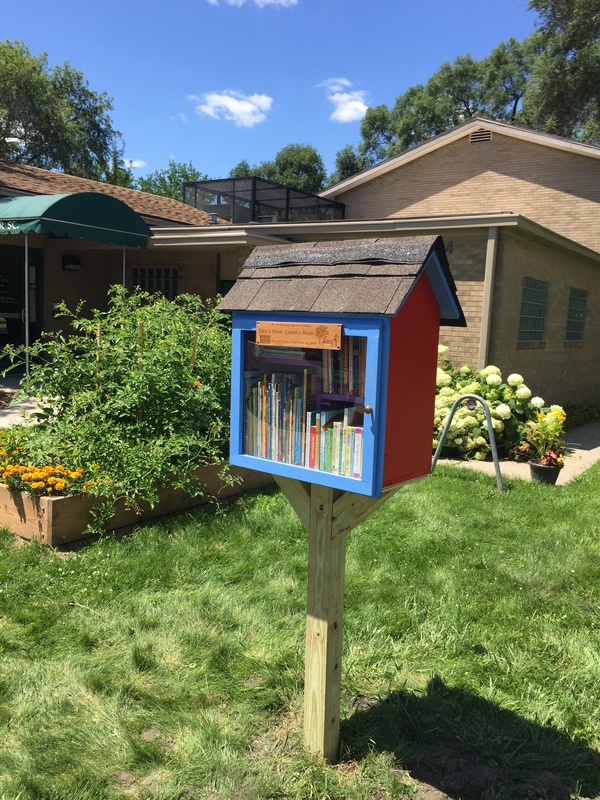 Material support for the RX for Reading Little Free Library was provided by a Mission Micro Grant from the University of Detroit Mercy.